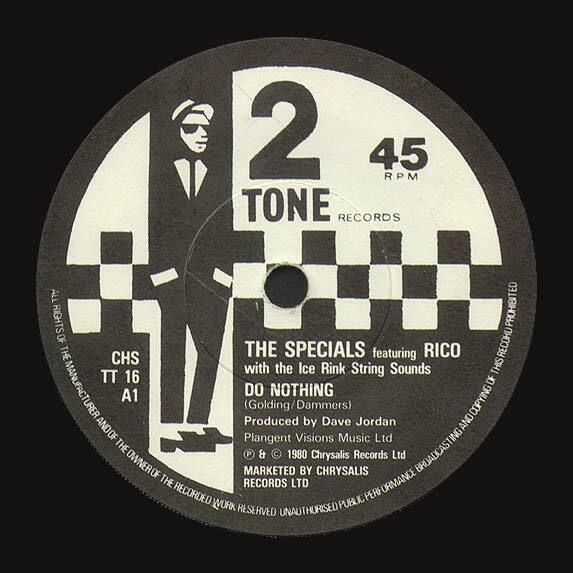 This was the second single of the More Specials album and also the labels second picture sleeve. 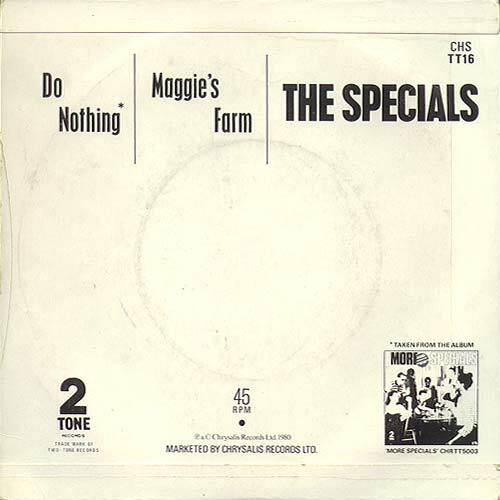 Released at the end of 1980 it reached a healthy No 4 in the national charts. It was a slightly different version than that which appeared on the album and contained what was listed as "The Ice Rink String Sounds". To promote it the band made a Top Of The Pops appearance dressed in tartan trousers and very naff Christmas pullovers. As bad as this may seem it wasn't as bad as one of Jerry Dammers first suggestions which was that the band wear balaclavas. 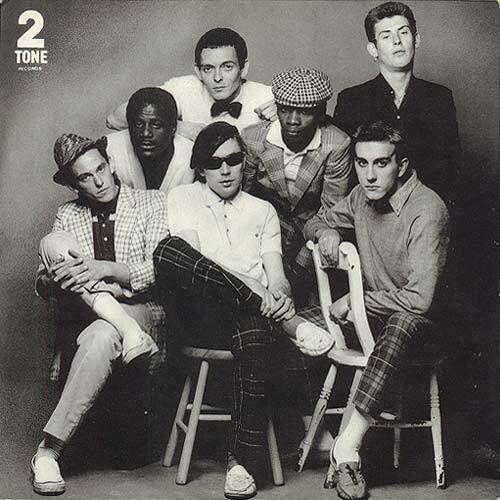 The Beat were also scheduled to appear on the same episode of Top Of The Pops to promote their Too Nice Too Talk To single and if you watch the video footage of this episode you can clearly see that bass players from each band have swapped places, with Horace joining The Beat and David Steele taking up bass for The Specials. And just to keep the 2 Tone tradition of covers alive it was backed by a version Bob Dylan's 'Maggies Farm' which was more than a passing jibe at then British Prime Minsiter, Margaret Thatcher.